Episode 1 - Jim Dowd | The Biggest And Greatest Podcast Ever! 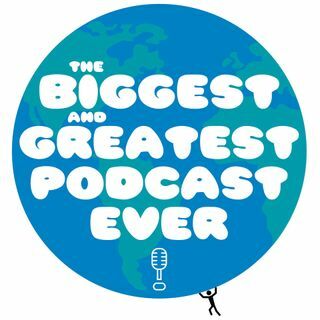 Desde: The Biggest And Greatest Podcast Ever! Jim Dowd is an American former professional ice hockey center who played 17 seasons and 700 games in the National Hockey League. Dowd, who won the 1995 Stanley Cup with his hometown New Jersey Devils scored the game winning goal in the second game of the Stanley Cup Finals. Jim was the first New Jersey native to play for the New Jersey Devils and second New Jersey high school hockey player to make it to the NHL.